This content is provided by Maciej Szambelańczyk. A partner at WKB’s Energy practice. 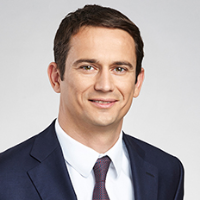 Maciej has worked with many clients from the energy sector, including leading Polish and foreign companies investing in renewable energy, on tariffs, concessions, and formation of power generating companies. Regarding the infrastructure and municipal sectors, he has advised on implementing waste resolution, tender procedure for collection and management of municipal waste, and infrastructure development projects. He also participated in parliamentary works on various regulations regarding energy sector (renewable energy, nuclear power, electromobility). He is a co-author of the Commentary to the Act on RES.